As you might be able to deduce from the cover, Mister Glum’s trial for enslaving the world and killing millions is finally here. With his own lawyer not managing to see his side of the events, Mister Glum decides to represent himself. Naturally this isn’t the only strange turn of events during the trial, considering it gets side tracked right as it begins. 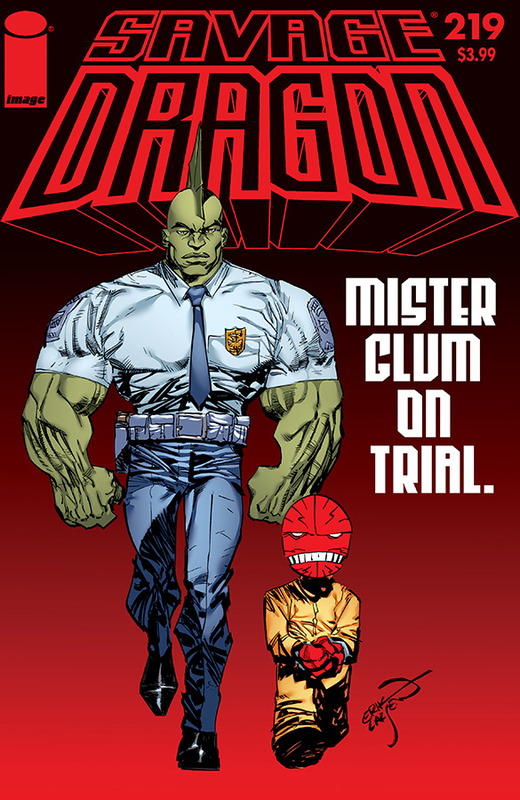 It does offer a brief Savage Dragon team-up of sorts, while even small is a nice treat. Everything else takes a back-burner for the main event, though we do see Angel struggle with having her child raised by another woman. Larsen also takes the time to get several quick punches in on Trump which feels a bit out of place and forced. Otherwise the issue stayed on track, albeit at a brisk pace. Mister Glum’s trial could have been interesting, but it looks like it’s already over.